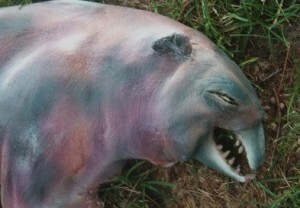 On July 23, 2008, the news first circulated of a strange carcass found July 12, 2008, on a New York-area island. 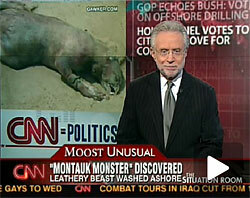 Then I, cryptozoologist Loren Coleman, coined the body the “Montauk Monster,” on July 29, 2008. 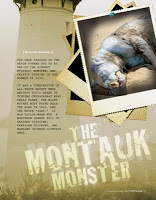 Cryptozoologist Loren Coleman at Cryptomundo first coined the name the “Montauk Monster” on July 29, 2008. 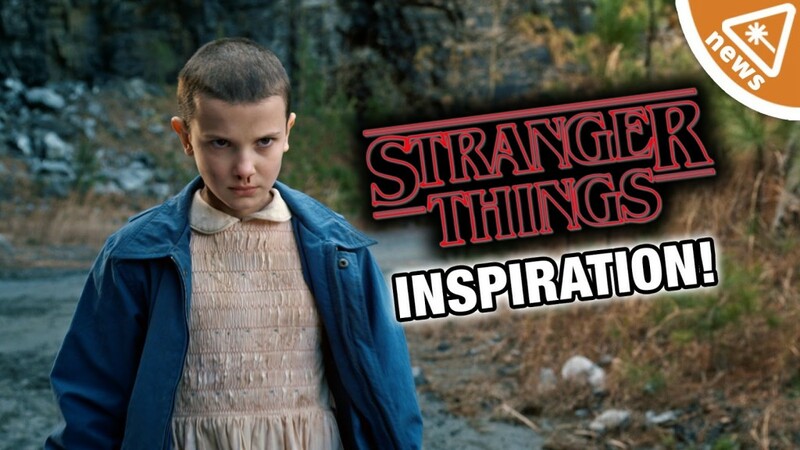 The nickname was disseminated globally on the Internet in the following days. Photographs were widely circulated via email and weblogs, and the national media picked up on it raising speculation about the creature. 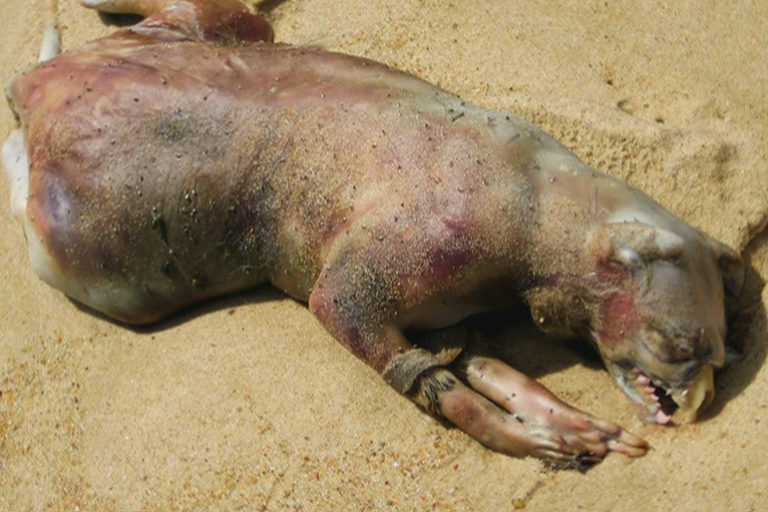 The potential urban legend stature of the Montauk Monster was noted by Snopes. During the time of the tenth anniversary of this event, two journalists reflected on the overall media mania of the incident. I have extracted quotes from their treatments regarding my part in what occurred. 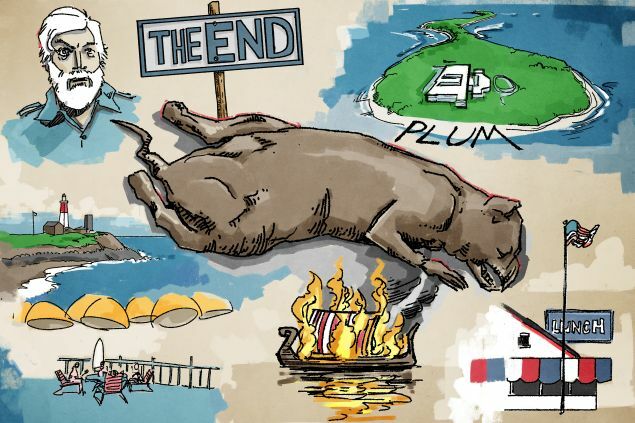 Loren Coleman, a veteran cryptozoologist based in Portland, Maine, knew about the Montauk Monster before most of us did — in fact, he named it. Coleman told the Observer that he started getting messages from friends and colleagues about the curious carcass after it made the local news on July 23, 2008, but before Gawker picked it up. And he was skeptical, but not for the reason that some of us might be. 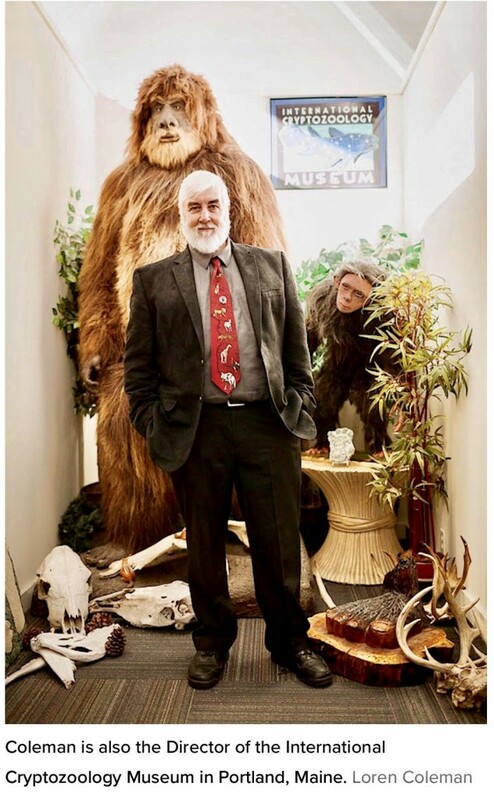 After all, cryptozoology is a “pseudoscience” that takes folklore like Bigfoot and chupacabras very seriously—and Coleman is at the top of his field. A self-described fan of alliteration, he coined the term “Dover Demon” back in 1977, after a Massachusetts schoolboy swore on a stack of bibles that he saw a devilish creature with glowing eyes and “tendril-like fingers” sitting on a stone wall in the distant Boston suburb. In his field, Coleman has plenty of admirers. 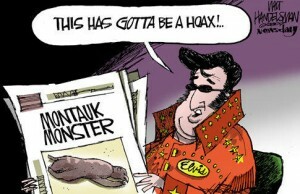 The cryptozoologist would agree that the story has credibility. 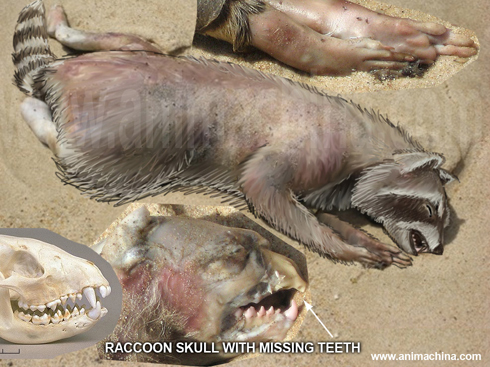 Loren Coleman is certain that the Montauk Monster was a decomposing raccoon. “All you had to do was look at it and know a little bit about zoology, which I do, and you would see that it was barely second-day disintegration and decaying of a [raccoon’s] body,” Coleman said. 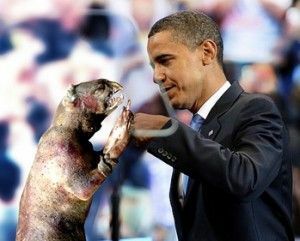 He went on to explain in great detail a process he called “skin flipping” [actually, "skin slipping" ~ LC] that can happen to a body being tossed around in the surf, and purportedly accounts for why the animal’s facial structure appeared distorted —as though it had a beak. In short, the normal decomposition process combined with the movement through rough water can cause “slippage” between the surface skin and the underlying fat. 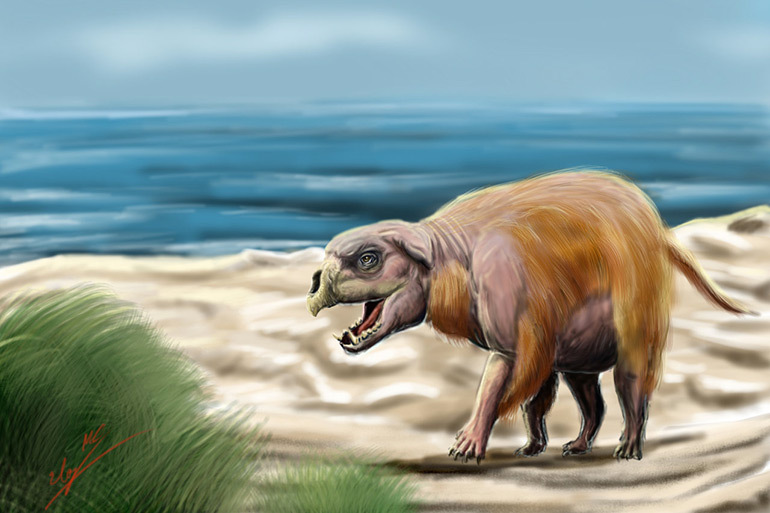 While the cryptozoologist dismissed any of the more fantastical explanations for the Montauk Monster, he believes the story started a trend of cryptid sightings. 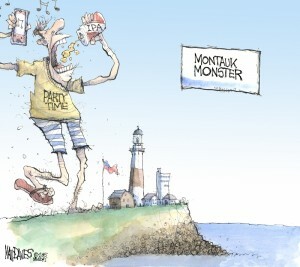 “Very quickly after that, quote unquote Montauk Monsters started showing up around the world,” Coleman said. 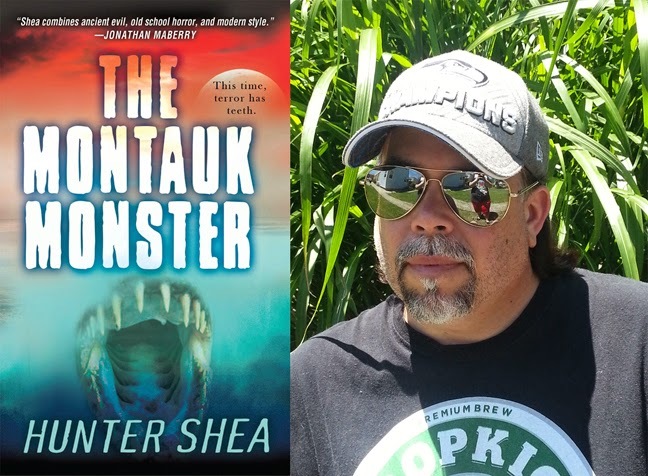 Putting himself at the center of the story paid off: Coleman said that the marketers of Venom Energy drink asked him to provide a quote they used in a campaign to promote a Montauk Monster-themed beverage. 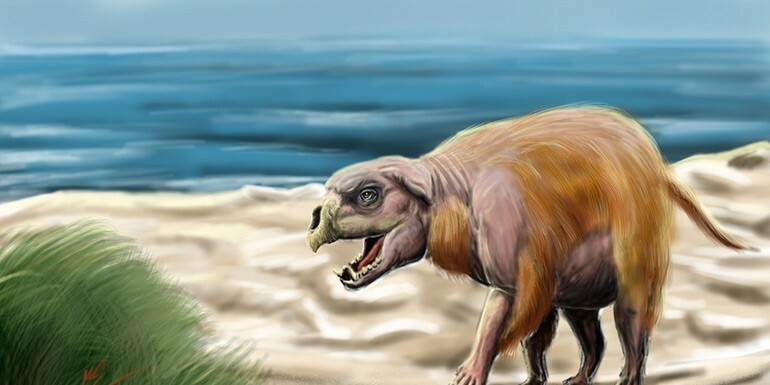 Most sensible people probably understood that the Montauk Monster—a term coined by leading cryptozoologist and Bigfoot researcher Loren Coleman—had a fairly pedestrian explanation, but boy, was it fun to speculate! 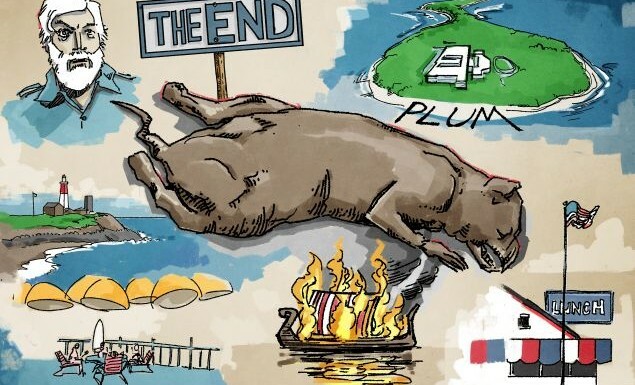 Bloggers jumped on the Plum Island idea. 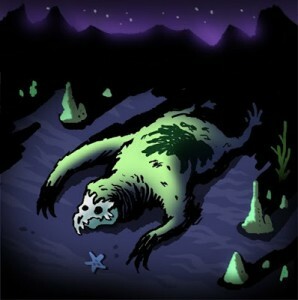 People guessed it might be a turtle without its shell, or some equally unlikely freak of nature. TV naturalist Jeff Corwin weighed in. Jesse Ventura investigated the case on his Conspiracy Theory show. Coleman revisited it in a 2009 episode of History’s Monster Quest. 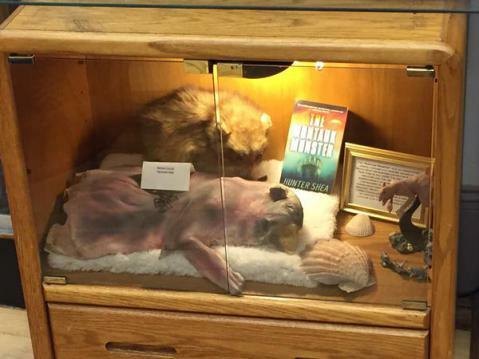 Nearly every serious examination concluded it was indeed a decayed raccoon carcass. 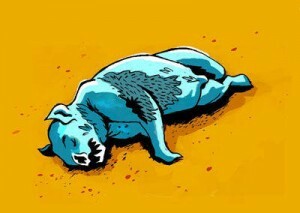 Montauk Monster, illustrated by Eloy Manzanero for Dan’s Paper. 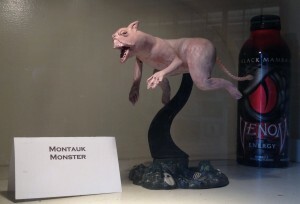 A gallery of photos and side treks with the Montauk Monster. Other views of the body soon materialized. 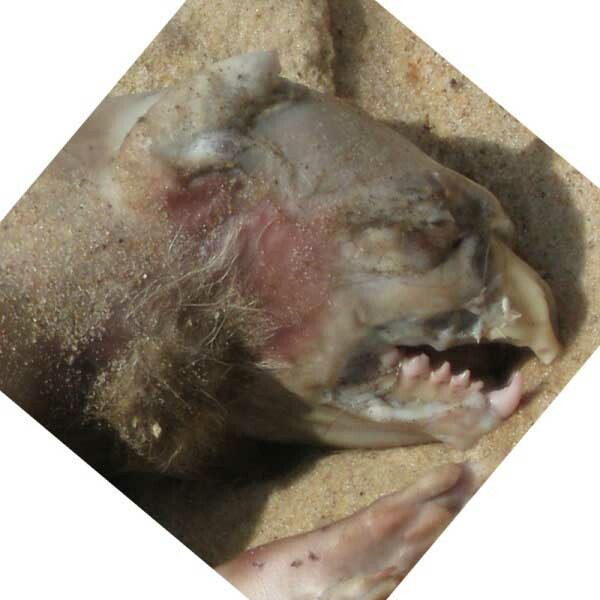 “The Montauk Monster” article by Loren Coleman appeared in the August/September 2008 issue of TAPS Paramagazine. 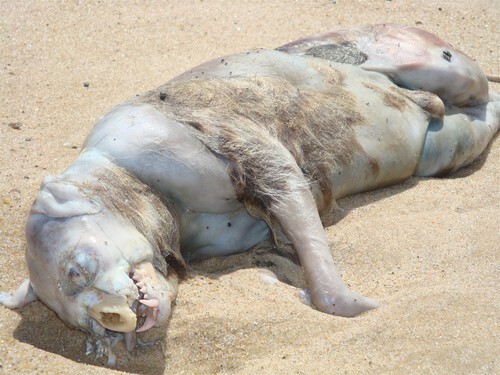 Was there a link between the Montauk Monster and Stranger Things? I looked at that question here. 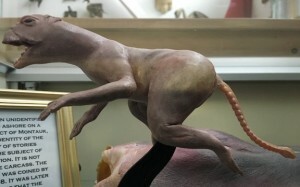 and as an early display at the International Cryptozoology Museum in 2009. Will the public and media even care to remember in 2028? Or in 3008? Next Entry: The Golden Yeti, Please. 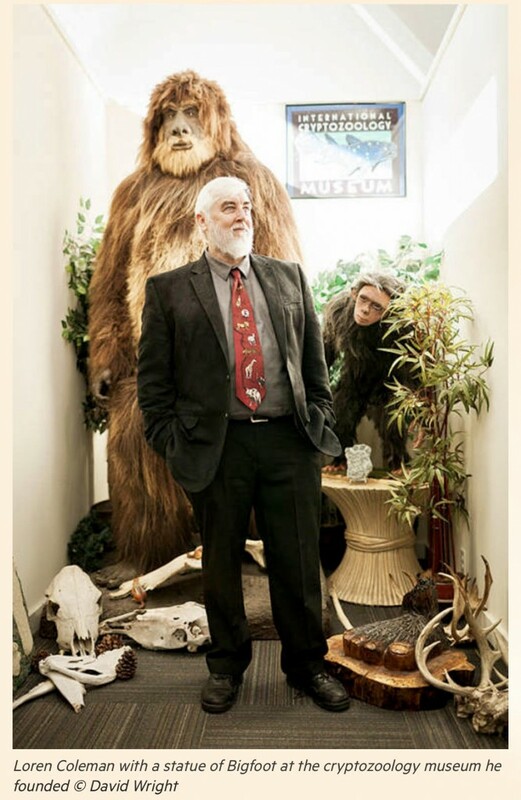 A Decade of Cryptozoologists of the Year.